Are you planning to free yourself from Oracle license fees or are you playing with the idea of leaving Oracle behind? Then Cybertec Schönig & Schönig GmbH will be the right partner for you. Our team of PostgreSQL and Oracle experts offer a smooth transition from the commercial to the Open Source world. Our team is not only made up of PostgreSQL experts – we also have Oracle certified staff with considerable Oracle database experience. 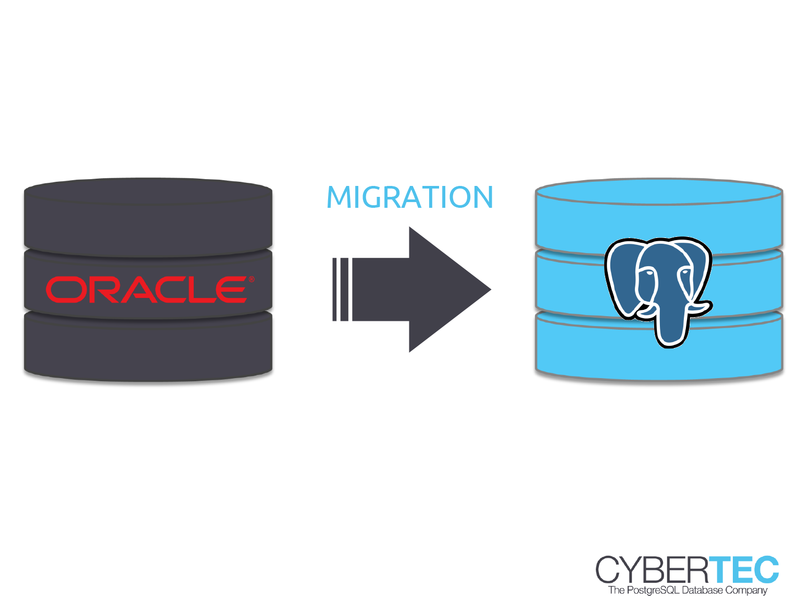 We are able to fully comprehend the Oracle side of the migration project. Cybertec Cybertec & Schönig & Schönig GmbH will migrate customers to the Open Source version of PostgreSQL to free you completely from any kind of vendor lock. There is no “special closed source version” and no proprietary tool chain. After migrating to PostgreSQL, you will be running on an Open Source solution (100%, no strings attached). PostgreSQL license costs will be ZERO. Our goal is to make your PostgreSQL deployment at least as fast as your current Oracle setup. However, the total cost of operating your database infrastructure will drop considerably. Reduced costs will apply to all aspects of your deployment including ongoing operations, maintenance, etc. Primary concerns brought up by many who have already moved from Oracle to PostgreSQL are the questions of security, stability, and quality. We can assure you that PostgreSQL is a rock solid database, which has been repeatedly proven over the years. It has been adopted in critical environments such as banking, government, defense, medicine, and in the automotive industry (to mention just a few). Our very existence depends on PostgreSQL’s quality. Our team here at Cybertec Schönig & Schönig GmbH and the entire PostgreSQL industry depends on the quality and stability of the PostgreSQL code base, which means that everybody is working hard to maintain good quality, superior stability, and high standards of development. Remember: It is not only your data, which is at stake – the same applies to our reputation and the existence of the entire industry, which will do everything to protect your data by every possible means available. Cybertec uses an Open Source tool chain as well as a couple of own scripts (available as Open Source to customers) to move customers from Oracle to PostgreSQL. The entire migration process is fully transparent. 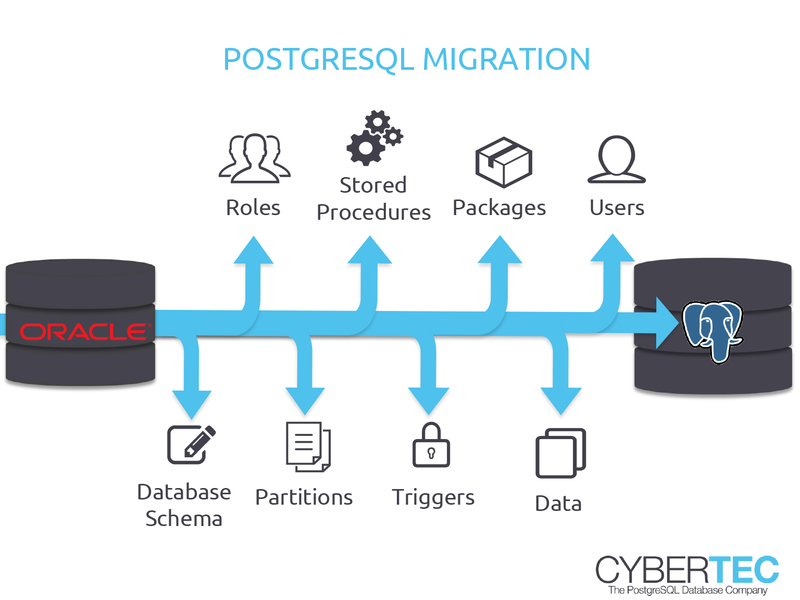 Cybertec will also make sure that Oracle PL/SQL code is properly adapted and optimized for PostgreSQL. Oracle is not only a classical database. It also features an extension to handle GIS data, which is used by some players in the industry. On the PostgreSQL side there is also an extension to handle GIS data. PostGIS is an enterprise ready GIS framework, which has constantly been developed over the years. GIS data is not quite like normal data. It sometimes requires some special treatment and well as special indexing. If you are using Oracle Spatial we can help with migration.